A petition is launched to have Fisher-Price's bouncy seat with built-in iPad attachment recalled. But why shouldn't we prepare our young for the future as early as possible? Kid, I want to tell you about your future. You'll be glued to a screen. Your fingers will be tap-tap-tapping to give you entertainment, enjoyment, and employment. And when your screen is taken away from you, you'll cry like a baby. Some people don't want to believe this. These are the people who are ragingly raising their arms at a new baby bounce seat that has an iPad attachment so that baby can begin the process of pushing buttons on a screen. It's made by Fisher-Price and it retails for a mere $80. Its full title is "Newborn-to-Toddler Apptivity Seat for iPad." As the Los Angeles Times reports, a petition has been launched to have all these baby seats burned at the stake. I exaggerate slightly. However, the Campaign for a Commercial-Free Childhood wants you to sign its petition to encourage Fisher-Price to recall the product. The campaign offers: "Because screens can be mesmerizing and babies are strapped down and 'safely' restrained, it encourages parents to leave infants all alone with an iPad. To make matters even worse, Fisher-Price is marketing the Apptivity Seat -- and claiming it's educational -- for newborns." The campaigners believe that children need "laps, not apps." Fisher-Price countered with its own words to Fast Company: "The Apptivity Seat is a niche product that is only available online. Though we knew the product was not for everyone -- we have over a dozen seats from which parents can choose -- we wanted to offer it as yet another option for those parents who want the added feature of engaging in age-appropriate content with their children." 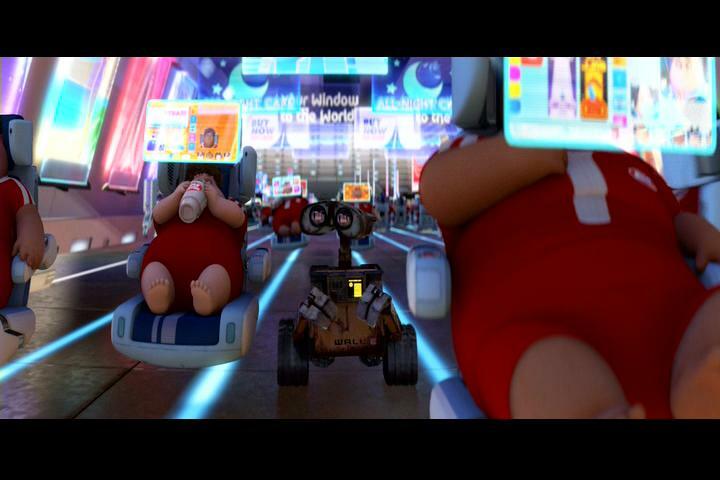 Some might be surprised that the company's statement didn't read: "Haven't you people seen "Wall-E?" It's worth considering why the company thought there might be a market for such a piece. Could it be because Fisher-Price's research showed that parents are increasingly short of time, especially as they're spending far too much of it glued to their iPads? Still, it's not as if buying the seat is compulsory. Perhaps, instead of attempting to pressure Fisher-Price, the campaigners might find some way of shaming anyone who buys these things. In the end, though, charming and noble as their arguments might be, isn't this a lost cause? Every adult spends the largest portion of their day mesmerized by one screen or another. Technology has encouraged us to do this and we, like cheery lemmings, have happily succumbed. In the future, we won't really care about other people. Robots will do our caring for us and robots will be the only beings that will care about us. Robots, indeed, will probably have our babies for us too. We'll be too busy living our lives through screens. So, why worry? Perhaps the best parenting you can give your children is to equip them for the future world, not merely your own. Discuss: The baby seat with iPad attachment: Shameful or honest?